Once again the number of logs received continues to grow. The Traveller concept seems to be extremely popular, with the result that many quite exotic DX locations are available for Commonwealth amateurs. Once again, the level of participation from India was remarkable, and many entrants commented that they cannot recall having ever heard so many on the bands at one time! Despite some indications of light at the end of the “tunnel of sunspot minimum”, conditions on 10m were patchy. Many people gratefully grabbed the opportunities available, whilst others, often in the twelve-hour category, missed out completely. The number of HQ stations active seems to have more-or-less settled now, with eight available in 2010. Excluding those HQ stations, there were 62 valid call areas represented in entrants’ logs, marginally less than last year. A total of 264 entries were received, together with fourteen check-logs. RESTRICTED SECTION: The Restricted section showed a further significant rise in popularity, with 104 entrants this year. First place, and the Junior Rose Bowl, goes to long-term enthusiast Bob G3PJT, operating with a J6 prefix from the Caribbean island of Saint Lucia. 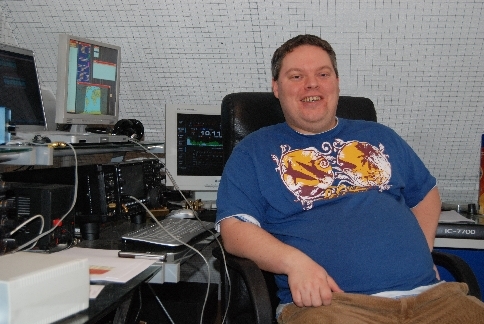 Peter G3LET was the top UK station, in overall second place, whilst Gary VE1RGB managed third position despite finding no ten-metre contacts. Nick 5X1NH drops two places from last year to take fourth place, as does Mike G3IAF in fifth. However Mike does win the John Dunnington Trophy by doing so, as Peter was ineligible having won it in 2009. There was nothing to separate John G4CZB and Geoff G4FKA in joint sixth position, just ahead of Mike G3VYI, who takes eighth spot. 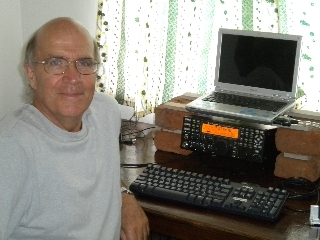 Having found 23 QSOs and 14 bonuses on ten metres, Andrew V51YJ is placed at number nine, and it is a real pleasure to welcome an Indian entrant to the top ten in the form of Gajendra VU2BGS. The highest-placed twelve-hour entrant is Dave G3ZQH who is in equal twelfth position. OPEN SECTION: Retaining the Senior Rose Bowl this year, with an unassailable lead, was John VE3EJ. 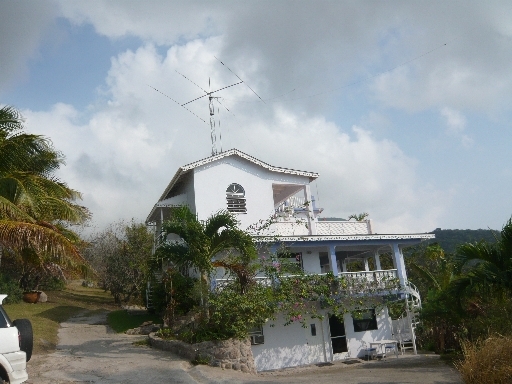 Second place goes to Nick G4FAL who achieved a fine score as VP2MCC from Montserrat. Ontario seems to have been the beneficiary of some good propagation this year as, in addition to leader VE3EJ, four more residents gained top-ten ranking – Ron VX3AT in third, Dave VE3OI in seventh, Chris VE3FU who was ninth, and Richard VE3KI who took tenth place. Cyprus was another “hot spot” where good ten-metre openings helped Steve ZC4LI to fourth spot, Andy ZC4VJ to fifth, and Alan P3J to sixth. 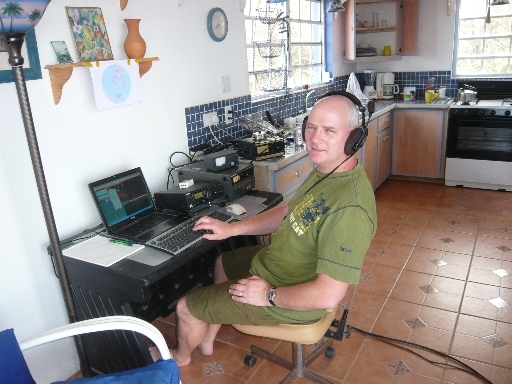 The remaining eighth position was filled by Dave G3TBK operating as J88DR from Saint Vincent. We have to read down to eleventh place to find the leading UK entrant, G6PZ operated by Gerry GI0RTN, who, nevertheless, is awarded the Col Thomas Rose Bowl. Leading twelve-hour entrant is Cris GM4FAM who is placed thirtieth overall. 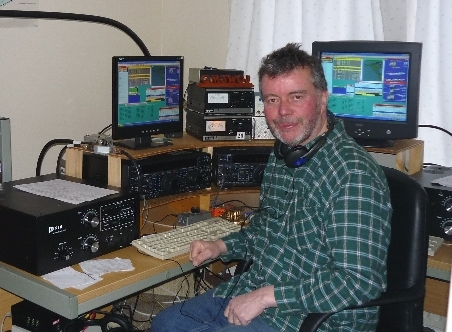 HQ STATIONS: Obviously utilising the advantageous conditions previously noted in the Open section, VA3RAC, operated by Bob VE3KZ, takes the honours in the HQ section. A short distance behind is GB5CC, with Chris GM3WOJ on the key from his Scottish Highland QTH. 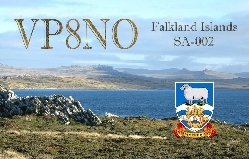 In an unaccustomed third position is the New Zealand station, where the callsign ZL6HQ was used by a team comprising ZL1AIH, ZL1BHQ and ZL1GO. The remaining entrants were VK4WIA (Keith VK4TT), VE7RAC (Brian VE7JKZ), VO1RAC (Paul VO1HE) and VU2MTT. 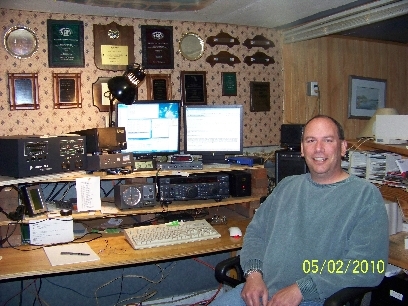 MULTI-OPERATOR & ASSISTED SECTION: This year eleven stations entered this section, whether due to DXcluster use, decoding the CW using Skimmer, or as genuine multi-operator stations. 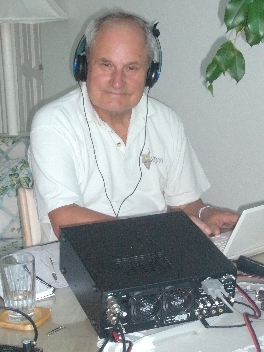 Topping the table is Terry G4AMT, followed by two west-coast Canadians – Ralph VE7XF and Les VA7RN. TWELVE-HOUR AWARDS: The Ross Carey Rose Bowl, awarded to the highest-placed UK station in the 12-hour category (regardless of section), goes to Cris GM4FAM who is placed thirtieth in the Open section. 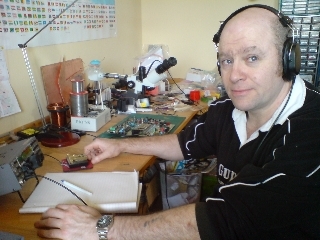 The VP8GQ Trophy, awarded to the equivalent non-UK station goes to Scott VE1OP with his thirty-third place finish in the same section. COMMONWEALTH TRAVELLER: The Traveller Award is proving to be a major success. Not only do participants invest much time and effort into organising entries from some interesting places, but, knowing that these rare entities are available with less QRM than usual, act as a further attraction to serious and casual entrants alike. The end result is increased activity around the Commonwealth, which is good for everybody. This year’s winner is Nick G4FAL who travelled to operate as VP2MCC from Montserrat where he managed to take second place in the Open section. 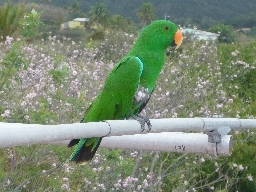 Another very creditable effort was by Bob J6/G3PJT who won the Restricted section from Saint Lucia. Such dedication should be rewarded, and so both will be receiving a certificate. 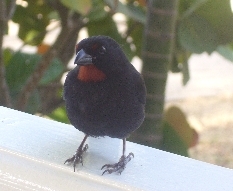 Other traveller reports are by J38CW Grenada , 9G5XA Ghana and 5X1NH Uganda. COMMONWEALTH TEAM CONTEST: Once again, seven teams battled it out to claim bragging rights for another year. Last year’s winners, the Rest-of-the-World, retained their title with a record-breaking 75757 points, but only just! Team Canada took full advantage of conditions to amass 74725 points, an amazing score for a team entirely based north of the equator. Once again, Team Great Britain is third with 59640 points, although their points total has increased. Australia dropped back to fourth position with 52549. Africa gained fifth place with 46693, with New Zealand pressing hard in fifth with 45164, although the latter were unable to field a full team on this occasion. Newcomers in 2009, Team Asia, more than doubled their previous score to 32769, although remaining in seventh. QRP CERTIFICATE: This year six entrants who indicated that they were using an output power of five watts or less. Receiving the certificate, with a score of 1615 points, is Chris GM4YLN. Last year’s winner, Dave G3YMC, was runner-up with 1435 points, whilst there was a tie for third place between Joseph 9H1CG and Bob VA3RKM who scored 1195. Also in this sub-category are G3NFB and G6CSY. Thanks Paul EI5DI, author of the dedicated SDC logging program, for sponsoring prizes for the team competition again this year. Check logs are gratefully acknowledged from 5B4AGQ, 9M2CNC, G3GMM, G3RWL, G3VQO, G3XMM, G3XQX, G4BYG, G4VSS, GM0AXY, GM4ZUK, MM0GPZ, VE7YL and VU2NKS. As Les is stepping down from the adjudication we take this opportunity to thank him for a job well done. Under Les’ management the process has become very smooth and automated with prompt and accurate publishing of the results each year. NEXT YEAR: The 74th Commonwealth Contest will take place on the 12/13th March 2011, starting at 1000UTC. Please check the website nearer the time to see if there are any changes to the rules for 2011.